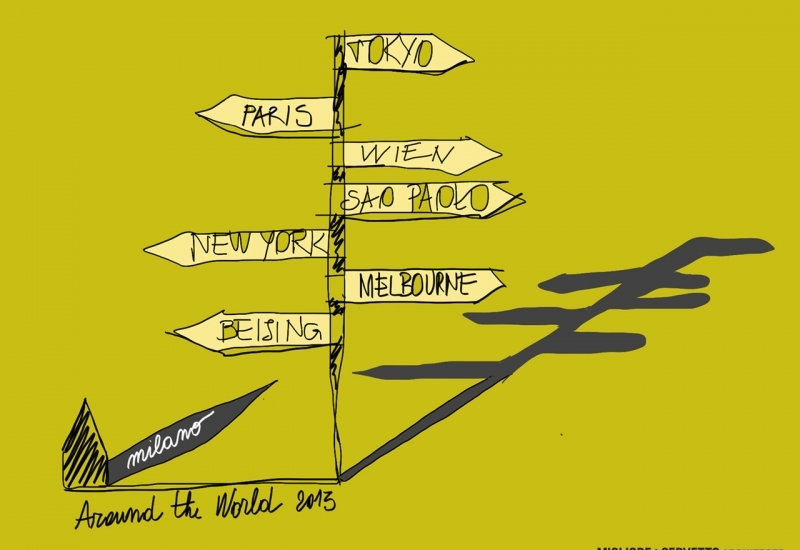 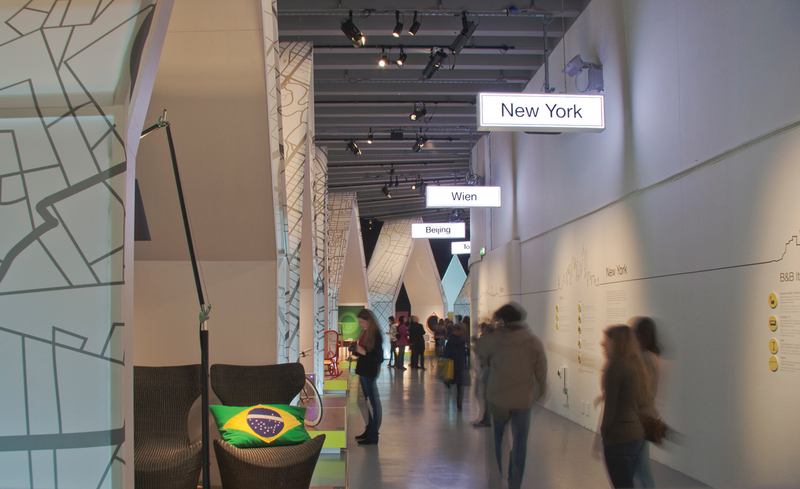 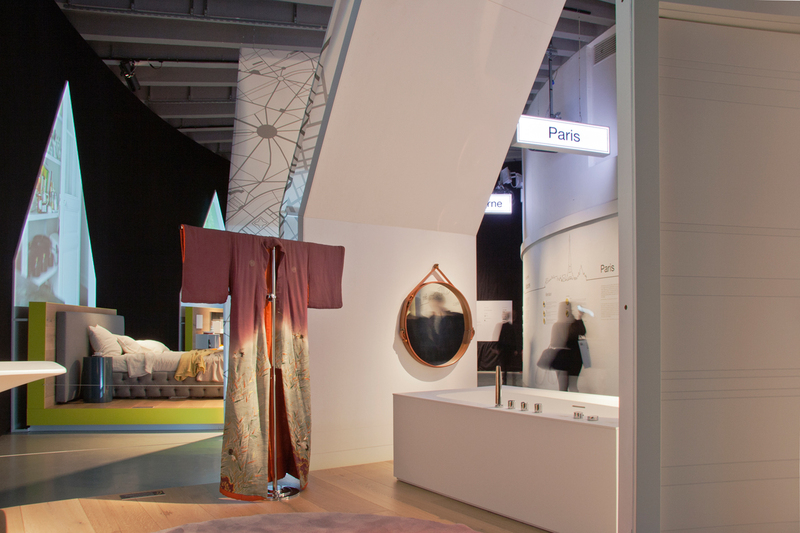 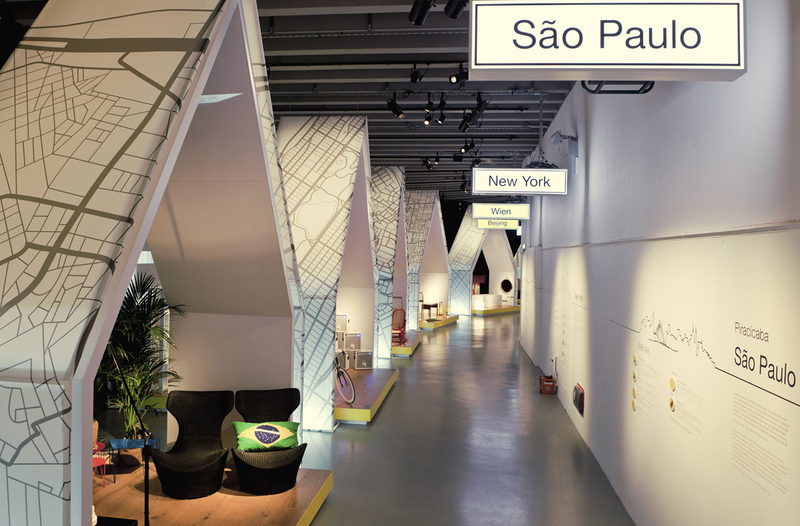 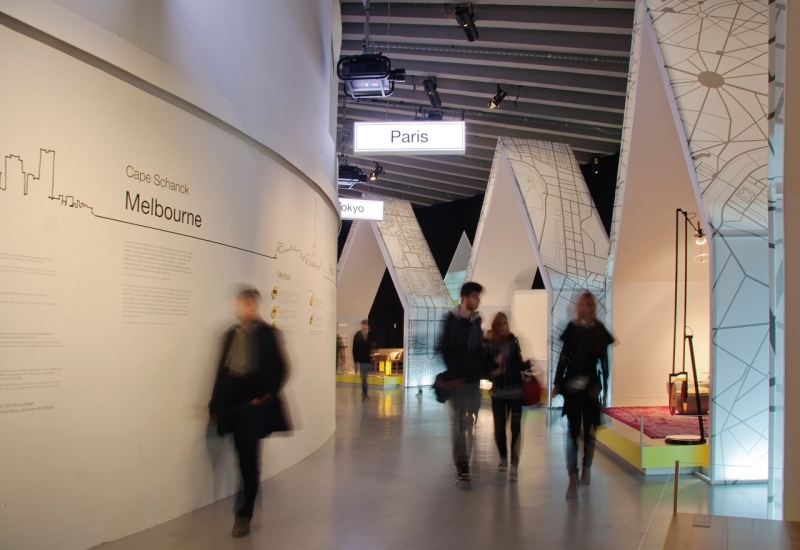 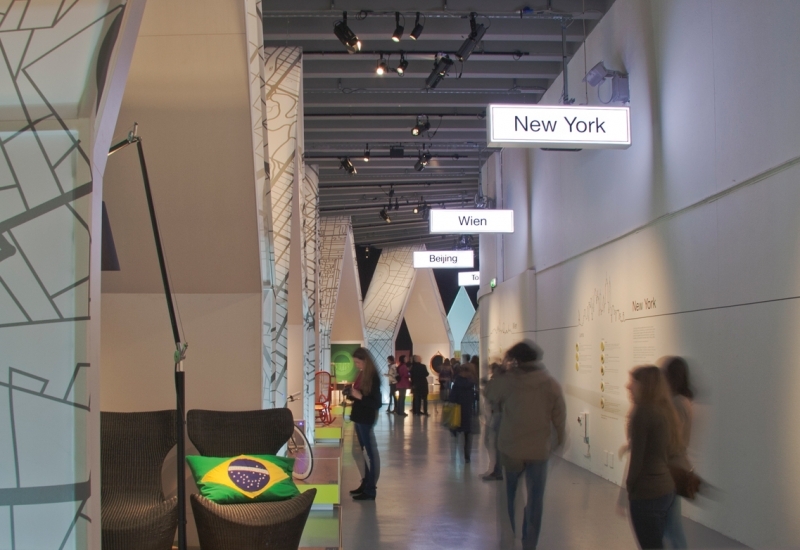 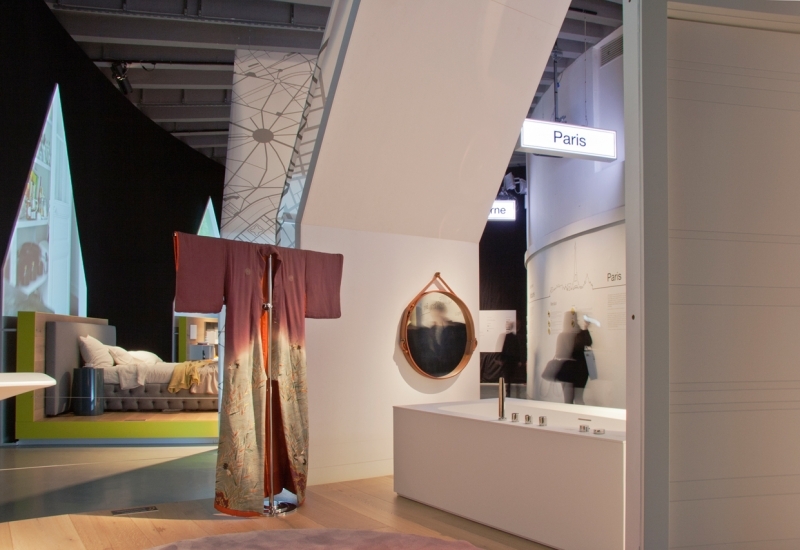 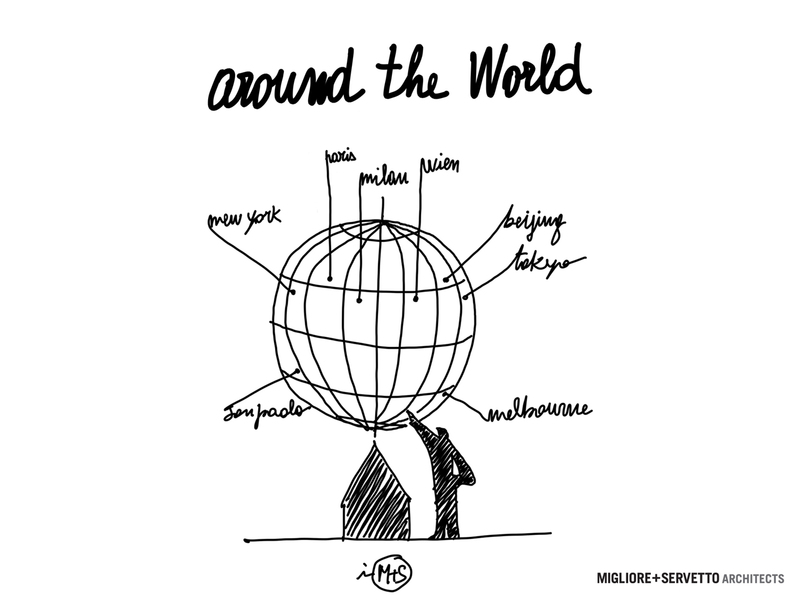 Around the world is an “International” trip in the world of design, that starts from Milan and travels to seven cities of the world: Wien, Paris, New York, Tokyo, São Paulo, Beijing and Melbourne. 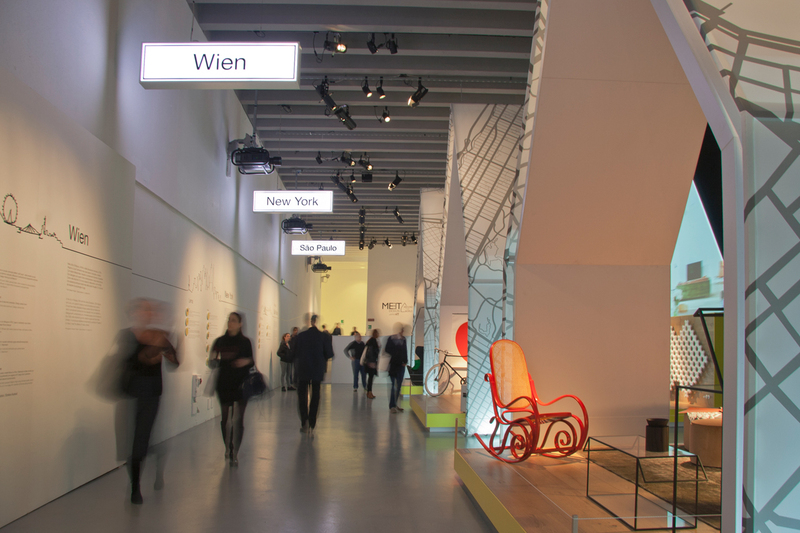 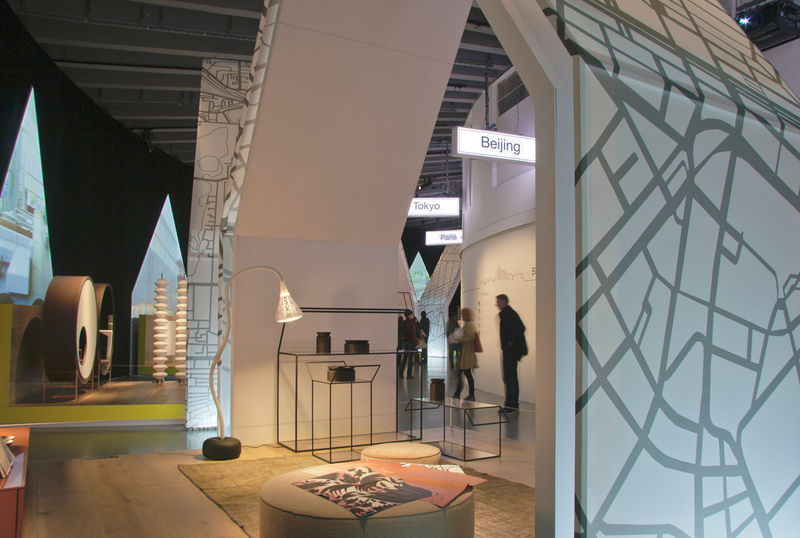 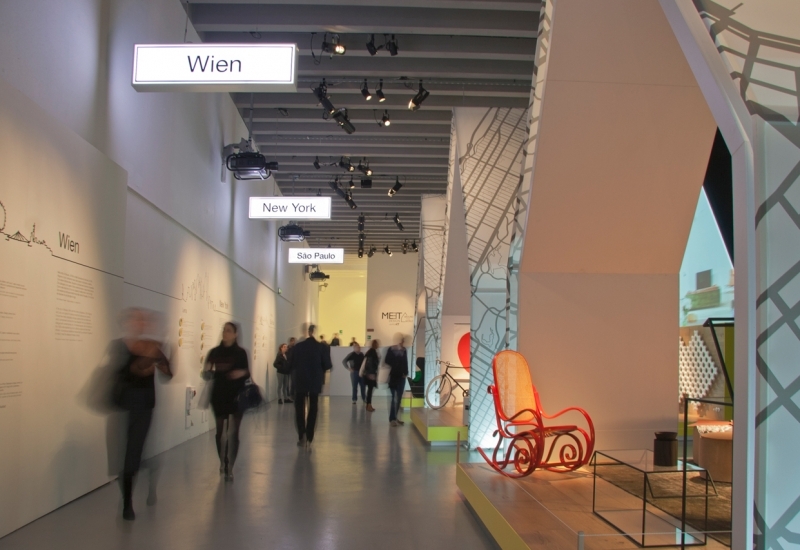 At the entrance of the space, an overhead square overlooks the seven travel scenarios: seven domestic icons covered by a thin graphic skin that creates the context for the proposed interiors inside the urban fabric of each place. 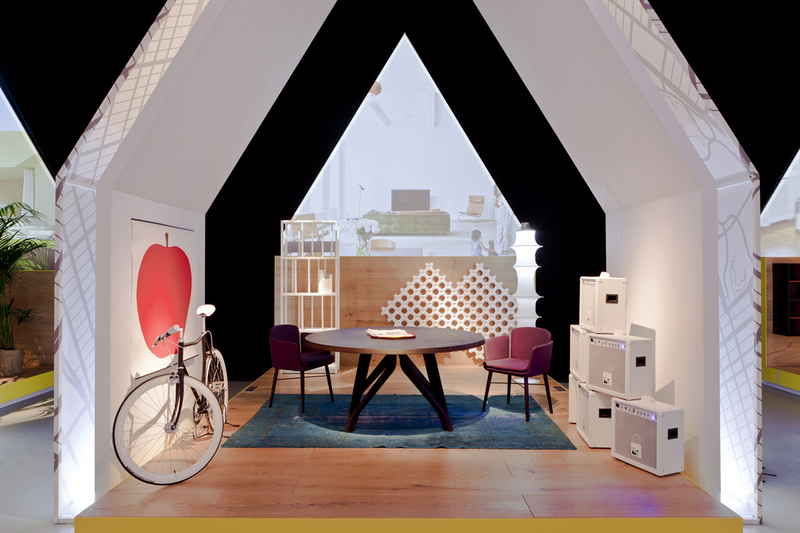 Seven domestic volumes open on different levels to host the real furniture of some of the most important Italian companies of the sector, while on the background dynamic graphic images, taken from photo shootings, are shown. Along the walls the continuous line of the different skylines one after the other, drawn by Ico Migliore, leads the visitor along the path and defines the stops, marked by backlit train stations’ signs. 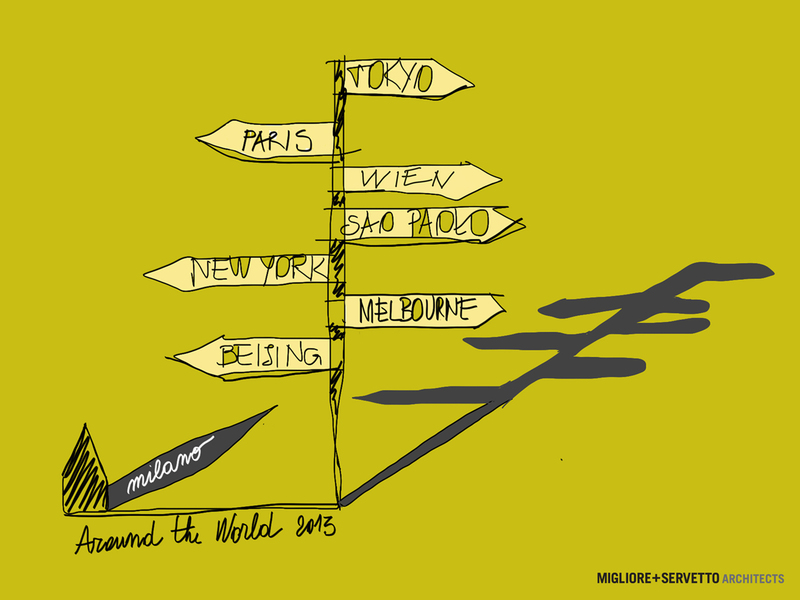 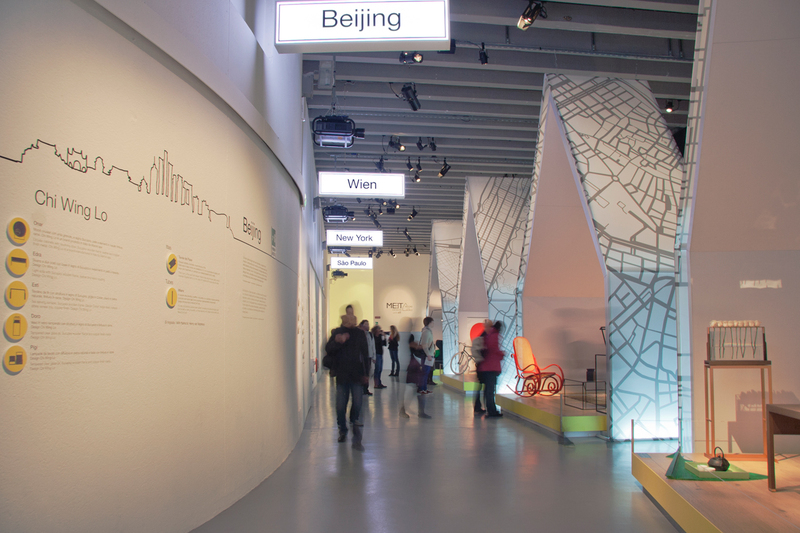 Around the World is an event sponsored by the Public Administration of Milan, and that comes after the editions of MEET DESIGN of 2011 in Rome and Turin and the one of 2012 in Bejing, for the first edition of Beijing Design Fair.